From a security perspective, an increasing number of countries are looking to use space to enhance their military capabilities and national security. The growing use of, and reliance on, space for national security has also led more countries to look at developing their own counterspace capabilities that can be used to deceive, disrupt, deny, degrade, or destroy space systems. The existence of counterspace capabilities is not new, but the circumstances surrounding them are. Today there are increased incentives for development, and potential use, of offensive counterspace capabilities. There are also greater potential consequences from their widespread use that could have global repercussions well beyond the military, as huge parts of the global economy and society are increasingly reliant on space applications. Yet, because national security in space is so highly classified, it is difficult to have an open, public debate about counterspace programs. Our hope is that the existence of this unclassified analysis may help facilitate public discussions about the policies of counterspace. To address this, SWF recently published an open source assessment of global counterspace capabilities. SWF convened a group of international experts to work with our staff to compile publicly-available information for various countries developing counterspace capabilities across several categories: direct ascent, co-orbital, directed energy, electronic warfare (EW), and cyber. For each of these categories, SWF assessed what the current and near-term capabilities might be for the countries examined in the report, based on the open source information. Also assessed was the potential military utility for each capability, which includes both the advantages and disadvantages of the capabilities. Finally, when possible, we also examined each country’s policy, doctrine, and budget to support the offensive counterspace capabilities being developed. Taken together, the analysis is intended to provide a more holistic picture of what each country is working on, and how these capabilities may be used. The conclusions of the report are worrying, but also provide a ray of hope. The publicly available evidence shows significant research and development of a broad range of kinetic (i.e. destructive) and non-kinetic counterspace capabilities by multiple countries. However, only non-kinetic capabilities are actively being used in current military operations. Over the last decade, the testing of non-kinetic capabilities has been limited in ways that do not create large amounts of orbital debris. This suggests that countries feel there are still some normative and legal restraints on both the testing and use of counterspace weapons, and that widespread conflict in space is not yet inevitable. The following sections provide a bit more detail on the counterspace activities of several countries and capabilities. The evidence strongly indicates that China has a sustained effort to develop a broad range of counterspace capabilities. China has conducted multiple tests of technologies for close approach and rendezvous in both Low Earth Orbit (LEO) and Geosynchronous Orbit (GEO) that could lead to a co-orbital ASAT capability. However, as of yet, the public evidence indicates they have not conducted an actual destructive intercept of a co-orbital target, and there is no proof that these rendezvous and proximity operations (RPO) technologies are definitively being developed for counterspace use as opposed to intelligence gathering or other purposes. China has at least one, and possibly as many as three, programs underway to develop direct ascent anti-satellite (DA-ASAT) capabilities, either as dedicated counterspace systems or as mid-course missile defense systems that could provide counterspace capabilities. China has engaged in multiple, progressive tests of these capabilities since 2005, indicating a serious organizational effort. Chinese DA-ASAT capability against LEO targets is likely mature and may be operationally fielded on mobile launchers within the next few years. Chinese DA-ASAT capability against deep space targets — both Medium Earth Orbit (MEO) and GEO — is likely still in the experimental or development phase, and there is not sufficient evidence to conclude whether it will become an operational capability in the near future. Although official Chinese statements on space warfare and weapons have remained consistently aligned to the peaceful purposes of outer space, privately they have become more nuanced. China has recently designated space as a military domain, and military writings state that the goal of space warfare and operations is to achieve space superiority using offensive and defensive means in connection with their broader strategic focus on asymmetric cost imposition, access denial, and information dominance. That being said, it is uncertain whether China would fully use their offensive counterspace capabilities in a future conflict or whether the goal is to use them as a deterrent against U.S. aggression. There is no public evidence of China actively using counterspace capabilities in current military operations. There is strong evidence that Russia has embarked on a set of programs over the last decade to regain some of its Cold War-era counterspace capabilities. Since 2010, Russia has been testing technologies for close approach and rendezvous in both LEO and GEO that could lead to a co-orbital ASAT capability, and some of those efforts have links to a Cold War-era LEO co-orbital ASAT program. However, the technologies could also be used for non-aggressive applications, and the on orbit testing done to date does not conclusively prove they are for an ASAT program. Russia is almost certainly capable of some limited DA-ASAT operations, but likely not yet on a sufficient scale or at sufficient altitude to pose a critical threat to U.S. space assets. Core Russian direct-ascent ASAT capabilities are not yet operational, and those currently in development are not planned to have the capability to threaten targets beyond LEO. Russia appears highly motivated to continue development efforts even where military utility is questionable, due at least in part to bureaucratic pressures. Russia places a high priority on integrating EW into military operations and has been investing heavily in modernizing this capability. Most of the upgrades have focused on multifunction tactical systems whose counterspace capability is limited to jamming of user terminals within tactical ranges. Russia has a multitude of systems that can jam GPS receivers within a local area, potentially interfering with the guidance systems of unmanned aerial vehicles (UAVs), guided missiles, and precision guided munitions, but has no publicly known capability to interfere with the GPS satellites themselves using radio frequency interference. The Russian Army fields several types of mobile EW systems, some of which can jam specific satellite communications user terminals within tactical ranges. Russia can likely jam communications satellites uplinks over a wide area from fixed ground stations facilities. Russia has operational experience in the use of counterspace EW capabilities from recent military campaigns. Russia has a strong technological knowledge base in directed energy physics and is developing a number of military applications for laser systems in a variety of environments. Russia has revived, and continues to evolve, a legacy program whose goal is develop an aircraft-borne laser system for targeting the optical sensors of imagery reconnaissance satellites, although there is no indication that an operational capability has been yet achieved. Although not their intended purpose, Russian ground-based satellite laser ranging (SLR) facilities could be used to dazzle the sensors of optical imagery satellites. There is no indication that Russia is developing, or intending to develop, high power space-based laser weapons. Russian military thinkers see modern warfare as a struggle over information dominance and net-centric operations that can often take place in domains without clear boundaries and contiguous operating areas. To meet the challenge posed by the space aspects of modern warfare, Russia is pursuing lofty goals of incorporating EW capabilities throughout its military to both protect its own space-enabled capabilities and degrade or deny those capabilities to its adversary. In space, Russia is seeking to mitigate the superiority of U.S. space assets by fielding a number of ground, air, and space-based offensive capabilities. Although technical challenges remain, the Russian leadership has indicated that Russia will continue to seek parity with the United States in space. The United States has conducted multiple tests of technologies for close approach and rendezvous in both LEO and GEO, along with tracking, targeting, and intercept technologies that could lead to a co-orbital ASAT capability. These tests and demonstrations were conducted for other non-offensive missions, such as missile defense, on-orbit inspections, and satellite servicing, and the United States does not have an acknowledged program to develop co-orbital capabilities. However, the United States possesses the technological capability to develop a co-orbital capability in a short period of time if the nation chooses to do so. While the United States does not have an operational, acknowledged DA-ASAT capability, it does have operational mid-course missile defense interceptors that have been demonstrated in an ASAT role against low LEO satellites. The United States has developed dedicated DA-ASATs in the past, both conventional and nuclear-tipped, and likely possesses the ability to do so in the near future should it choose to. 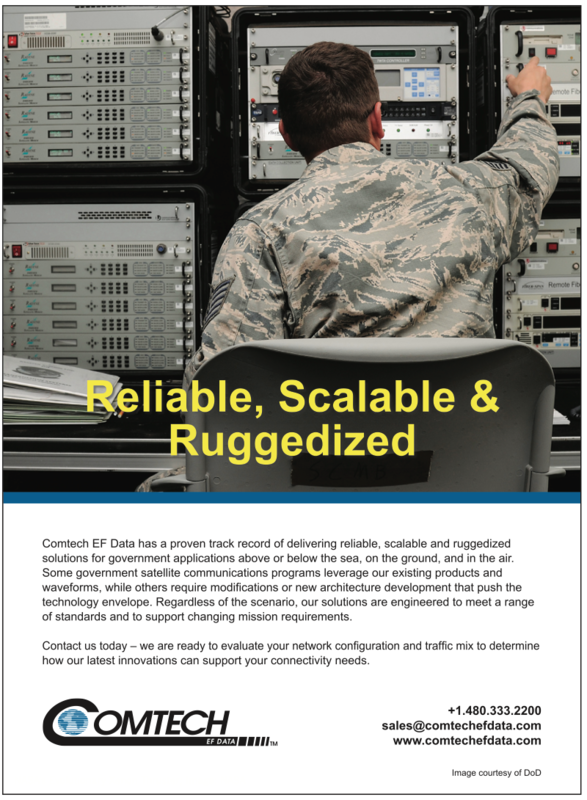 The United States has an operational EW counterspace system, the Counter Communications System (CCS), which can be deployed globally to provide uplink jamming capability against geostationary communications satellites. The United States likely has the capability to jam global navigation satellite service receivers (GPS, GLONASS, Beidou) within a local area of operation to prevent their effective use by adversaries. In addition to interfering with adversarial use of satellite navigation, the Navigation Warfare program seeks to assure the availability of GPS services for U.S. military units in operations. The effectiveness of measures to counter adversarial GPS jamming and spoofing operations is not known. The United States has had established doctrine and policy on counterspace capabilities for several decades, although not always publicly expressed. Most U.S. presidential administrations since the 1960s have directed or authorized research and development of counterspace capabilities, and in some cases greenlit testing or operational deployment of counterspace systems. These capabilities have typically been limited in scope, and designed to counter a specific military threat, rather than be used as a broad coercive or deterrent threat. 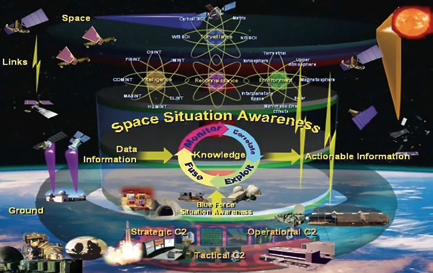 The U.S. military doctrine for space control includes defensive space control (DSC) and offensive space control (OSC), and is supported by space situational awareness (SSA). Since 2014, U.S. policymakers have placed a heightened focus on space security, and have increasingly talked publicly about preparing for a potential “war in space”, speaking openly about space being a warfighting domain. This rhetoric has been accompanied by a renewed focus on reorganizing national security space structures and increasing the resilience of space systems. It is possible that the United States has also begun development of new offensive counterspace capabilities, although there is no publicly-available policy or budget direction to do so. The United States also continues to hold annual space wargames and exercises that increasingly involve close allies and commercial partners. Iran has a nascent space program, building and launching small satellites that have limited capability. Technologically, it is unlikely Iran has the capacity to build on orbit or direct-ascent anti-satellite capabilities, and little military motivations to do so at this point. Iran has demonstrated an EW capability to persistently interfere with commercial satellite signals, although the capability against military signals is difficult to ascertain. North Korea has no demonstrated capability to mount kinetic attacks on U.S. space assets: neither a direct ascent ASAT nor a co-orbital system. In their official statements, North Korea has never mentioned anti-satellite operations or intent, suggesting that there is no clear doctrine in Pyongyang’s thinking at this point. North Korea does not appear motivated to develop dedicated counterspace assets, though certain capabilities in their ballistic missile program might be eventually evolved for such a purpose. It is unlikely that North Korea would use one of its few nuclear weapons as an electromagnetic weapon. North Korea has demonstrated the capability to jam civilian GPS signals within a limited geographical area. Their capability against U.S. military GPS signals is not known. There has been no demonstrated ability of North Korea to interfere with satellite communications, although their technical capability remains unknown. India has more than five decades of experience with space capabilities, but most of that has been civil in focus and only over the past several years has India started organizationally making way for its military to become active users and creators of its space capabilities. India’s military has been developing an indigenous missile defense program that its supporters argue could provide a latent ASAT capability, should the need arise; this capability has not been tested. 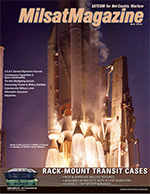 It is possible that India would move into rapidly testing an ASAT if it felt that the international community was getting close to creating an international legal regime banning kinetic ASAT tests; otherwise, given the substantial investment the Indian military is making in its satellite capacity and the income that India is receiving from launching other countries’ satellites, it is unlikely that they will move to actively create an official counterspace program. Multiple countries possess cyber capabilities that could be used against space systems; however actual evidence of cyber attacks in the public domain are limited, due to concerns about classification and/or the unwilling sharing of proprietary information. The United States, Russia, China, North Korea, and Iran have all demonstrated the ability and willingness to engage in offensive cyber attacks against non-space targets. Additionally, a growing number of non-state actors are actively probing commercial satellite systems and discovering cyber vulnerabilities that are similar in nature to those found in non-space systems. This indicates that manufacturers and developers of space systems may not yet have reached the same level of cyber hardness as other sectors. There is a clear trend toward lower barriers to access, and widespread vulnerabilities coupled with reliance on relatively unsecured commercial space systems that create the potential for non-state actors to carry out some counter-space cyber operations without nation-state assistance. However, while this threat deserves attention and will likely grow in severity over the next decade, there remains a stark difference at present between the cyber attacks capabilities of leading nation-states and other actors. The global proliferation of counterspace capabilities has significant implications for the future of space commercialization. The increased instability created by a counterspace arms race could itself impede or retard the growth of space commercialization. Today we are seeing a rapid expansion of investment and innovation in commercial space activities around the world. Many countries are putting in place policies to encourage commercial space development and hope to reap the socioeconomic benefits that may result. However, as is the case with other domains, geopolitical instability and uncertainty are not conducive to business growth and investment. As the rhetoric about potential armed conflict in space heats up, investors and insurers may be less likely to see space as a risk worth taking. Actual armed conflict in space could have devastating consequences for commercial space. Governments are increasingly turning to commercial services and capabilities to augment their own, which creates the possibility that commercial satellites and space services could be targets during an armed conflict. Even if commercial satellites are not directly attacked, widespread electronic warfare attacks against military satellites would likely also cause significant service disruptions for nearby commercial satellites. Use of destructive kinetic weapons against military satellites would likely create large amounts of space debris, which could increase the risk to commercial space operations for decades. There are a few steps that the commercial space community can take to help prevent these dire outcomes. The first is to help develop norms of behavior for commercial space activities, and in particular those that use dual-use technology such as rendezvous and proximity operations. As has been the case in other domains, norms of behavior can help militaries discriminate between normal commercial activity and potential threats and reduce the chances of misperceptions or mistakes that could trigger crises or increase tensions. Even if the norms are only applied to commercial activities, they are still likely to have an influence on how military space operations are conducted, as is the case in the air and maritime domains. In addition, commercial actors should also work to increase sharing of space situational awareness data that can reinforce norms of behavior and further increase the transparency of space activities. SWF also encourages commercial space actors to get more involved in the space security debate. Commercial entities need to ensure that their interests and perspectives are well-represented in debates and discussions on policies and strategies for dealing with the proliferation of counterspace capabilities. Commercial space actors need to ensure governments fully understand the implications of aggressive strategies that could increase instability and uncertainty, and may increase the chances of armed conflict extending into space. The global proliferation of counterspace capabilities has significant implications for future military use of space and the potential for conflict on Earth. The increased reliance on space capabilities to support and enhance military activities on Earth is driving the proliferation of counterspace capabilities. The offense-dominant nature of the space domain makes it easier to attack space capabilities than defend them, which could lead to an arms race during peacetime and create instabilities during crises that escalate to armed conflict. During an actual armed conflict, there may be incentives to use offensive counterspace capabilities early in the conflict, either as an attempt to deter further attacks or to seize a military advantage. Widespread use of offensive counterspace capabilities during an armed conflict would have devastating humanitarian consequences. While today’s wars are by no means devoid of tragedy and suffering, the precision strike complex enabled by space capabilities has led to drastically fewer civilian casualties than during previous wars between great powers. Instead of firebombing entire cities or dropping millions of pounds of bombs across vast stretches of countryside, space allows for a much more precise application of force than was previously possible, and more stringent application of international humanitarian law to protect non-combatants. Eliminating space from the equation would likely force militaries to fall back on older methods and greatly increase the loss of life and suffering. Additionally, the distinction between military and non-military use of space is increasingly blurred and it is likely attacks on some military space capabilities may have significant civilian impacts. There are steps governments can take to minimize these negative consequences. First, they can focus more on increasing the resilience of space capabilities against attacks. Doing so in a way that is visible to potential adversaries could help deter the most devastating kinds of attacks on space capabilities, and if deterrence fails would ensure space capabilities degrade more gracefully and retain at least some military utility throughout the conflict. Second, there needs to be a better understanding of how international law, and specifically the law of armed conflict (LOAC) and international humanitarian law (IHL), applies to armed conflict in space. Examples of this are the San Remo Manual on International Law Applicable to Armed Conflicts at Sea (ihl-databases.icrc.org/ihl/INTRO/560?OpenDocument), the HPCR Manual on International Law Applicable to Air and Missile Warfare (assets.cambridge.org/97811070/34198/frontmatter/9781107034198_frontmatter.pdf) and the Tallinn Manual on International Law Applicable to Cyber Operations (ccdcoe.org/research.html), which all provide guidance on the application of IHL for the maritime, air, and cyber domains, respectively. These manuals were developed by experts and practitioners to provide advice to military lawyers on the application and use of IHL in their respective domains. While not binding agreements, the manuals have nonetheless had an impact on how militaries conduct activities in peacetime, periods of tension, and armed conflict. In addition, governments need to discuss strengthening norms or even binding legal prohibitions against the use of offensive counterspace capabilities that are deemed unacceptable. In every other domain of warfare, governments have largely agreed that certain types of weapons, such as flamethrowers, chemical or biological weapons, or flechettes, should be prohibited because they cannot be used in a way that discriminates against lawful and unlawful targets or cause undue suffering. But in the space domain, this topic has largely gone undiscussed, in part because space arms control has traditionally focused on controlling technology instead of behavior. And also because this approach represents a middle ground between prohibiting all conflict in space and allowing complete freedom of action that neither side wants to compromise on. Finally, there needs to be continued progress made on improving space situational awareness (SSA) for all space actors, as it is the foundation for all of these steps. Improved SSA will help militaries better discriminate between non-hostile malfunctions and accidents and hostile threats, and also better defend satellites against all types of threats. Improved SSA will also enable better understanding of space activities that lead to development of norms of responsible behavior in space, and could be used to verify future legally-binding agreements that restrain deployment or use of prohibited counterspace capabilities. Victoria Samson is the Washington Office Director for Secure World Foundation and possesses 20 years of experience in military space and security issues. Before joining SWF, Ms. Samson served as a Senior Analyst for the Center for Defense Information (CDI), where she leveraged her expertise in missile defense, nuclear reductions, and space security issues to conduct in-depth analysis and media commentary. Prior to her time at CDI, Ms. Samson was the Senior Policy Associate at the Coalition to Reduce Nuclear Dangers, a consortium of arms control groups in the Washington, D.C. area, where she worked with Congressional staffers, members of the media, embassy officials, citizens, and think-tanks on issues surrounding dealing with national missile defense and nuclear weapons reductions. Before that, she was a researcher at Riverside Research Institute, where she worked on war-gaming scenarios for the Missile Defense Agency’s Directorate of Intelligence.